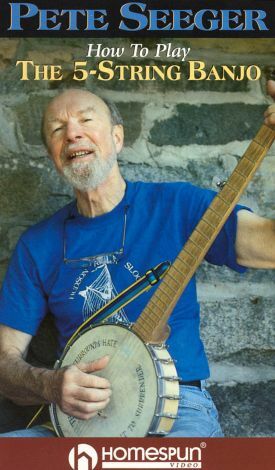 Pete Seeger: How to Play the 5-String Banjo features the folk music legend leading the viewer through a variety of tips and exercises that will increase one's skill on the title instrument. The renowned Doc Watson helps out on some of the songs. Viewers will practice techniques while playing such songs as "You Got to Walk That Lonesome Valley," "Leather Britches," and "Darlin' Cody."